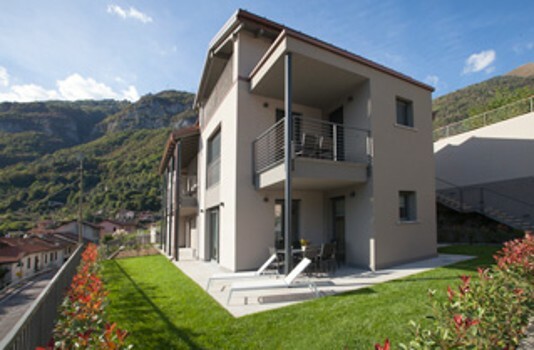 Residence Comacina is an elegant and modern accomodation, consisting of four spacious apartments located in Ossuccio, one of the best known and suggestive resorts of Lake Como. The Residence is open all the year round, provided with all kinds of facilities, outdoor swimming pool with sundeck, private garages. The strategic position on Lake Como and superb landscape you can enjoy from the apartments make it an ideal place for a relaxing, active, cultural and enogastronomic holiday. 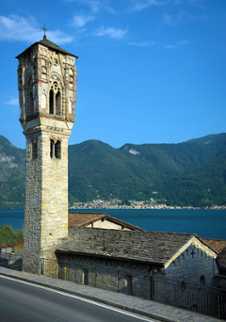 This Romanesque church with emblematic bell tower was once a lodging for pilgrims making their way to Rome along Lake Como’s western shore. The history of the church has always been bound with contiguous ancient medieval hospice. The single nave Romanesque church dates back to the 11th - 12th century and terminates in a semicircular apse. Nearby Things to Do include: Water Activities such as Lido Ossuccio and Hiring a Boat; Hikes & Walks such as Hiking Monte Crocione and Hiking Monti di Nava; Villas such as Villa Rachele Beccaria and Villa Balbiano; Towns such as Sala Comacina and Lenno; Churches such as Santa Maria Maddalena and San Giacomo; Parks & Gardens such as Parco Mayer Beach and Teresio Olivelli Park.